We pilots tend to see ourselves as Type A problem solvers, and have an innate disdain for all that “touchy-feely charm school stuff.”Emotional sensitivity is for sissies—I’m Captain Kirk, dammit! 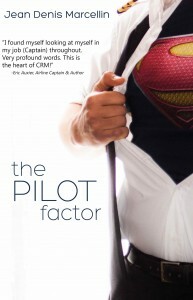 Enter Jean Denis Marcellin with his new book, The Pilot Factor. A commercial pilot, Crew Resource Management (CRM) and human factors safety expert, Mr. Marcellin is constantly dragging us back to reality. He greys up our black and white world by throwing our “Safe operation of an aircraft” mandate against the the Human Factor filter. He challenges us to dig deep, go all introspective, and ask ourselves, Are we really flying this airplane in the safest possible manner—by taking the human condition into account? Before you yawn, let me say that this book is chock full of fun, poignant, even whacky examples of said Human Factor that include such pop culture icons as Captain Kirk, Men in Black, and superheroes like The Avengers. In short, he’s my kinda pilot-writer! But the bottom line is the very serious subject of flight safety, and Marcellin dovetails the fun with hard lessons from real airline accidents caused by that most chilling of all aviation terms, “Pilot Error.” For example, how could three veteran airline pilots crash a perfectly good L-1011 over a simple, burned out light bulb? And how could a veteran 747 captain, flying with a brand new first officer, instigate the most deadly accident in aviation history? This book is the cutting edge of CRM, and the forerunner of very important safety changes to come in the cockpit. The Pilot Factor delves far deeper than any rudimentary human factor training I’ve ever encountered in the airline industry. 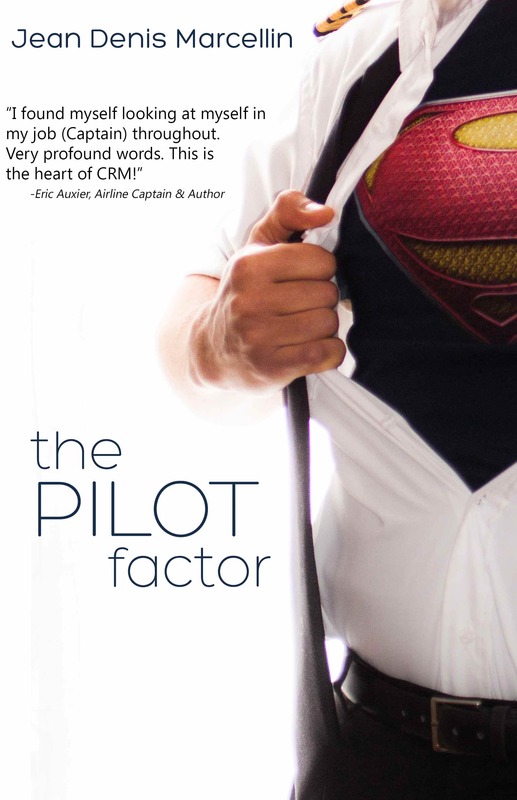 Picking up where the “Swiss Cheese” and “ABC” models—the mainstay of airline CRM—end, he takes us deeper down the rabbit hole of human factor. Using such cutting edge theories as the SHELL model, the four communication styles and even the “OODA Loop” used by the Air Force and Special Forces, Marcellin picks apart who we are, why we are and how we react, and compares it to those strange aliens around us called, “other people.” And when we throw these two disparate entities together in a cockpit and toss in a crisis for good measure—say, an engine fire—our true selves are revealed. Fortunately, Marcellin takes us by the hand and using baby steps, leads us deeper into who we are. For example, he breaks down the “Four Different Types of People” into simple, understandable categories—based on bird types, no less (Eagle, owl, peacock, dove)—and enlightens us on how each type sees, communicates, and reacts to the world. We discover not only who we are but who others around us are in a new, profound light. All of a sudden, when we deal with that engine fire with this newfound wisdom, we find ourselves acting and reacting in a much more efficient—and safe—manner.Thanks to modern technological progress, aviation safety has evolved by many orders of magnitude—so much so, that the weakest links in the safety chain are now the human pilots themselves. Captain, I implore you. Do yourself, your crew and your passengers a favor: increase the safety level on your ship manyfold by reading Jean Denis Marcellin’s, The Pilot Factor. When I stumbled onto Jean Denis Marcellin’s blog, planesimplesolutions.com, I was so impressed with it that I wrote an extra post for my own blog entitled, “My Favorite Bloggers”—with him as the headliner. 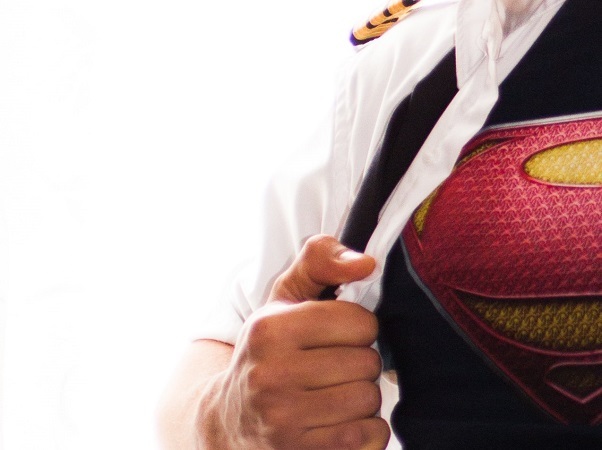 Mr. Marcellin specializes in the Human Factor side of flying, and in just a few posts I learned more about myself and how I “tick” in the cockpit than all of the countless CRM (Crew Resource Management) classes I’ve attended in the past 20 years. In the past year, Jean Denis has become a dear friend. I now see where his colorful, humorous and insightful writing come from: a personality chock full of, well, personality. So, is this book review a tad biased? Perhaps. But, as I’ve learned from our human pilot factor guru Mr. Marcellin, every decision we make, from book reviews to takeoff runway selection, comes from the myriad jumble of stuff inside us that’s made us who we are. 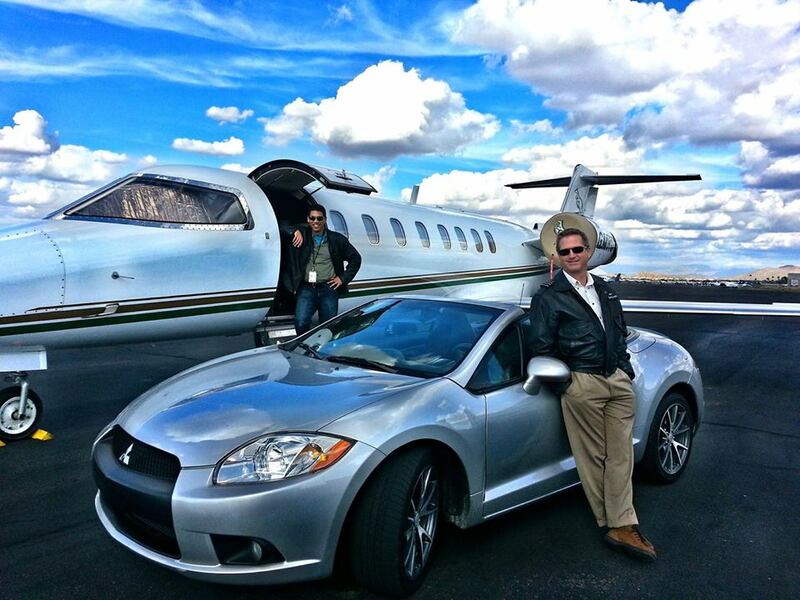 Eric “Cap’n Aux” Auxier is an airline pilot by day, writer by night, and kid by choice. 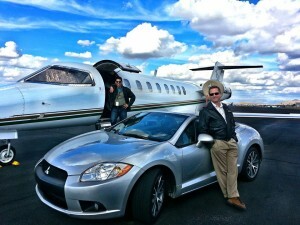 An A320 Captain for a major U.S. airline, he is also a freelance writer, novelist and blogger (capnaux.com). His second novel, The Last Bush Pilots, captured the coveted Amazon TOP 100 Breakthrough Novels in 2013. His newest book, There I Wuz! Adventures From 3 Decades in the Sky is now available in print and on Amazon Kindle. Mr. Auxier makes his home in Phoenix, Arizona. Haha FlyMainBlog, I appreciate the vote of confidence. But I truly think this will make you a better pilot–and you may even learn a little more about who you are and how to deal with the most basic of human interactions. I hope you caught his free offer! It’s a good read. Very in line with a lot of similar things I’ve had to read in classes about crisis and management. Very well done. Thank you team! To celebrate this great review and thank you for your amazing support the book will be available for FREE this weekend (Friday July 25 to Sunday July 27) Make sure to grab your copy! It would be worth every penny, but I’m glad you got to catch Mr. Marcellin’s free offer! That was very magnanimous of you, Mr. Marcellin! I know you believe in your words, and so do I! Kudos! I’m certain I’m not breaking new ground with my comment but I’ll say it anyway. I personally feel one of the most important parts of my flights happens on the ground. The “Crew Briefing” is positively not the most exciting aspect of being the Captain but whether we realize it or not it plays a big part towards setting the mood of the flight. I make a point of including every one in the brief. After the important stuff is out of the way I go person to person asking for input. Not a simple “Are there any questions” but asking each crew member by name if they have something to add. I keep it “Friendly Professional.” They know I’m not looking for the joke of the day but they know what they say will be made note of. In doing this I’m trying to make the point that if something doesn’t seem quite right with the passengers or aircraft they can expect their Captain to listen. And I mean listen! How many times has a cabin crew member noticed ice or snow on the wings but thought the flight crew probably knows. Well we all know this scenario has played out before with tragic consequence’s. That’s just a example but I think you get my point. I want my crews to really feel like a vital part of the flight. For all the times they report something minor, if you fly long enough they will someday report something important. And that something may save your collective asses one day. Like I said, this isn’t breaking new ground but maybe a reminder for those of us who see crew briefs as a lot of talking about nothing the crew doesn’t already know. It’s a great CRM opportunity not to be marginalized. That’s an excellent point JC! I will make sure to add this to the next edition of The Pilot Factor. Debriefing is important, but briefing is even more. It always raises a red flag when a departure is rushed because of some reason or another – you know there will be oversights and one too many can cause the accident. Good point, Captain! It’s so easy, day after day, flight after flight, to lose sight of that most important of safety issues, the crew briefing. I too want to know who I’m flying with, and they me, and most importantly that they feel like a valued and respected member of the team. I want them to especially feel confident in not hesitating to contact the flight deck at the slightest sign of trouble. Thanks for the comment!